FRANKFURT -- Daimler, BMW and Volkswagen are in discussions with a German autobahn service station operator about setting up a nationwide network of charging stations in the country, a German newspaper reported. Tank & Rast, which is playing a key role in creating more charging points for EVs, is open to working with interested parties on developing the network further, the Bild Zeitung reported on Tuesday, citing industry sources. Tank & Rast, Volkswagen and Daimler all declined to comment directly on the report. "However, there are currently no agreements that go beyond the existing program with regard to e-mobility," he added, referring to EVs. Under a deal with the government, Tank & Rast, owned by a consortium led by insurer Allianz, will equip its roughly 400 service stations along German autobahns with fast-charging stations by the end of 2017. 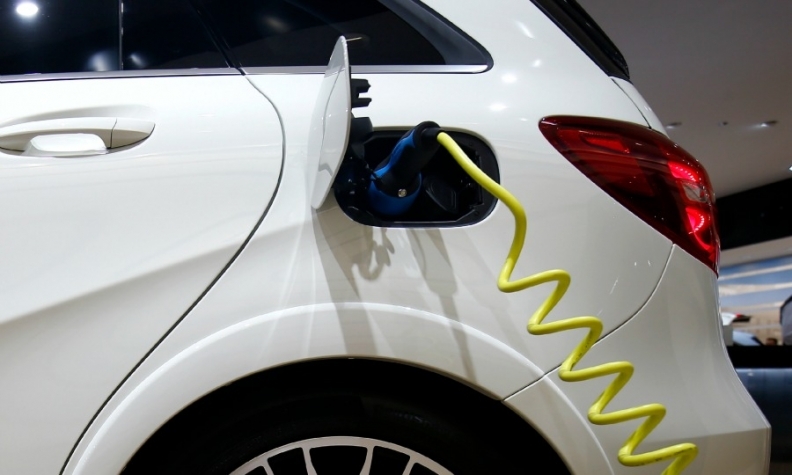 Germany, the biggest car market in Europe, has launched a 1 billion euro ($1.1 billion) support scheme for electric cars, including 300 million for charging stations, hoping this will get more customers to overcome their misgivings and buy EVs. The short distances which EVs can cover without being recharged and a lack of charging stations are the biggest obstacles to winning over drivers. Fast-charging stations are able to reload car batteries within about 30 minutes, rather than up to eight hours that can be needed at older charging points. Daimler and Volkswagen have both embarked on ambitious plans to extend their electric-car lineups in the next few years. Daimler's Mercedes-Benz brand has created the EQ nameplate for a series of battery-powered vehicles, with the first due by the end of the decade. VW Group has said it will introduce 30 electric cars, including Audi models, by 2025. BMW, which currently sells the compact i3 EV and i8 plug-in hybrid supercar as part of its i subbrand, has said it also plans to add an electric Mini and BMW X3 SUV by the end of the decade.